Antônio Marcos Santana, commonly known as Marcos “Ratinho” is a Brazilian jiu jitsu black belt under Ricardo Vieira and Fabricio “Bicudo” Medeiros. An accomplished athlete with important wins in jiu jitsu as well as mixed martial arts (MMA) – under ONE FC’s promotion, Ratinho is also a true jiu jitsu globetrotter, having trained and coached in places such as Brazil, Dubai, Abu Dhabi or Singapore. Nickname: Ratinho translates to “little mouse” in Portuguese. Marcos was always a small child but also very fast. When he started hitting puberty, his mustache started growing and as a joke, his good friend Miguel “Gigante” gave him the nickname. Marcos Santana was born on August 15, 1986 on the city of São Gonçalo – state of Rio de Janeiro, Brazil. Growing up Marcos played mainly football, becoming a five-a-side goalkeeper before entering the jiu jitsu world in 1999 by his brother’s influence. At the time when Ratinho and his brother Paulo César started training, jiu jitsu had a terrible reputation in Rio de Janeiro, much due to the hordes of troublemakers, nicknamed “Pitboys”, who trained in the martial art and used it to cause havoc in the city streets. For this reason, they had to train hidden from their parents who did not allow them to practice the gentle art. The first of the brothers to train was the eldest, Paulo, who trained with his college colleagues – without supervised tuition due to their parent’s aforementioned jiu jitsu ban. Ratinho soon became part of this group and started drilling positions and training with his brother’s crew. In 2000/2001 Marcos spent little over 1 year in Joao Pessoa in the state of Paraíba, where he had his first official jiu jitsu coach, Eduardo Machado of the Carlson Gracie/Mario Sukata Academy, who promoted Ratinho to blue belt. On April 2002 Marcos’ brother fell victim to the violence that haunted Rio de Janeiro’s city center, being shot as he left his office in the sequence of a robbery that was taking place outside. 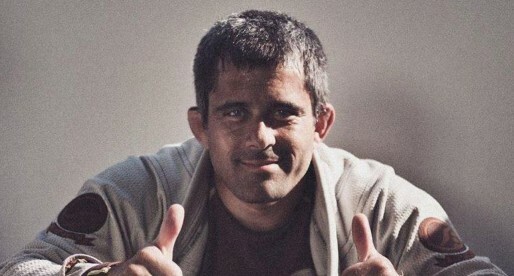 Although overwhelmed with grief for his brother’s passing, Marcos decided to carry on his brother’s legacy, continuing his jiu jitsu career under the Brazilian Top Team (BTT) banner, being coached by Sid Jacintho and later Miguel “Gigante”. After years training at BTT Ratinho joined Checkmat, earning his black belt on December 9, 2009 from the hands of Fabricio “Bicudo” Medeiros and Ricardo Vieira. In 2007 Ratinho’s (then) coach, Sid Jacintho moved to Abu Dhabi where he became the head coach of UAE’s national team. The two kept in touch over the years and the possibility of moving to the Emirates was discussed, though Marcos’ university degree and later a promotion at his workplace kept this from materializing. In 2012 a few directors of the UAE’s Palms Sports organization traveled to Rio to interview candidates for coaching roles in Abu Dhabi and Dubai. Ratinho was scouted and a concrete offer laid on the table for his move to Dubai. An offer accepted by Marcos. Within little over 1 year spent in Dubai, Marcos work became well recognized by the project’s leaders, being invited by Sheikh Saqr Omer Al Qassimi and Ras Al Khaimah to become the first coach of the Emirates Club, and work with the presidential guard. 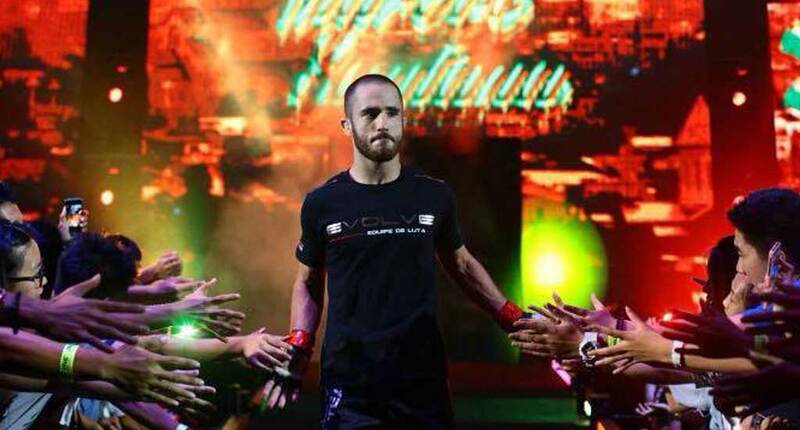 In 2015 Marcos went to Singapore to visit a friend and train with him at the Evolve MMA gym. Evolve’s owner, Mr Chatri Sityodtong, liked Ratinho’s skills and asked him to become part of the MMA team. Sityodtong was also the chairman of ONE FC Championship, offering Marcos the opportunity to debut in mixed martial arts for the promotion, a debut won by the Brazilian athlete with a tight guillotine during the first round. Cover photo by Cheryl Tay.